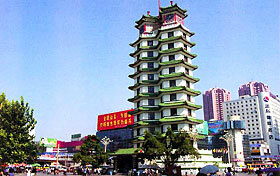 Zhengzhou hotels: discount reservation system offered by chinahotelsreservation. Zhengzhou careful information: all your requirements regarding your stay, included information about tours and economical solutions for hotels and rooms arrangement. For detailed Zhengzhou hotel information or to reserve a hotel please click on Zhengzhou Hotels list. Zhengzhou careful information: all your requirements regarding your stay, included information about tours and economical solutions for hotels and rooms arrangement. Hotels: Zhengzhou and China accommodation service, budget hotels at reduced rates. Travel: you can receive information about Zhengzhou travel to visit the principal highlights and to discover the famous attractions in the surroundings. Leave Zhengzhou the abundant culture accumulation in long history, there are more than 1400 places of all kinds of cultural relics and historic sites in the whole city, 26 national-level historic reservation units among them. The scenic spot of Song Shan is one of the 44 key scenic spots the whole country and national civilized demonstration pilot project of scenic spot, " the first place is stopped " Shaolin Temple is located in the foot of Song Shan " all over the world. Ten major beauty spots most famously to recommend the beauty spot: The scenic spot of the Yellow River, Shaolin Temple, the temple of Central Mountain, the museum of Henan, the high open academy in one of four major academies in Song Dynasty of China, two seven squares , the stockaded village of three emperors , the emperor's tomb in Northern Song Dynasty, the green valley of ring ,, Huang Ti hometown,. 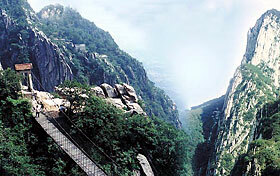 Have week to examine the scene platform and stellar observatory in Yuan Dynasty , " two seven " monument , the site of great river village commonly, store site, Li hillock site Pei, motherland mound, the excursion district of the Yellow River, the grand sight of the Yellow River, the Yellow River under Mang mountain, Huang Ti palace, go tiger-hunting in the tomb of Han Dynasty of the pavilion, the forest of Steles of the Yellow River, the mountain temple of high mountain, Town God's Temple, the Cave Temple, the blue and green kind cloud temple of Longshan, a million manors of health , Du Fu hometown, let from hometown, Shaolin Temple.